Diamond Details: Round brilliant cut white diamonds of G-H color SI clarity and of excellent cut and brilliance. Earring Details: Simon G 18k white gold with antique style caviar beading. These gorgeous Simon G antique style 18k white gold earrings contain round brilliant cut white diamonds of G-H color SI clarity and of excellent cut and brilliance. Beautiful caviar beading creates an antique style effect. 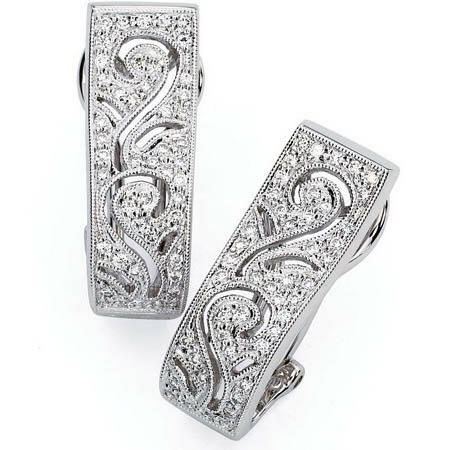 These Simon G earrings feature post and omega clips. Please call for pricing 1-800-790-6980 or 1-212-302-2863.